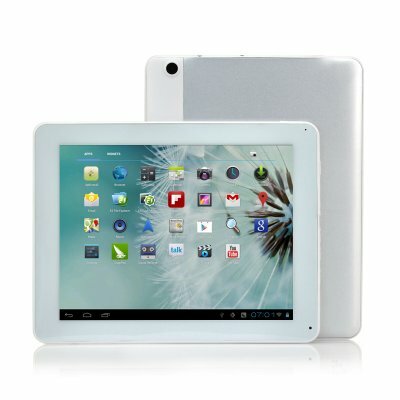 Successfully Added 9.7 Inch Android 4.0 Quad Core Tablet "Vice" - 1.6GHz, 16GB, 1024x768 to your Shopping Cart. 9.7 Inch screen Android 4.0 Tablet powered by 1.6GHz quad core CPU while featuring 2GB of RAM AND 16GB of memory is more than enough power to get the most enjoyment out of this tablet. Chinavasion’s latest expedition into the large screen tablet range is the 9.7 Inch Screen Tablet known as “Vice”. This “Vice” tablet is powered by a Samsung Exynos4412 chipset and has a 1.6GHz Quad Core Cortex A9 as a with 2GB of RAM CPU, therefore the “Vice” has the ability to play Youtube videos as you stream through Facebook, while listening to your MP3 track list as you hit green pigs when playing Angry Birds. No more squinting when watching movies or surfing the internet thanks to the huge 9.7 inch screen that also has a resolution of 1024x768, which creates a crystal clear display for you to enjoy. Android 4.0 Ice Cream Sandwich is the operating system that is being used by the “Vice” tablet, consequently the user can download many apps as there are thousands of different type of applications and games from the Android store to customize and enhance their own experience while using Android 4.0 on the “Vice” tablet. For those that like to use their tablet for multimedia benefits can take advantage of this 9.7 Inch tablet’s media playing abilities. Play your AVI or 3GP videos if you wish, or choose to listen to MP3s or WMAs, or view your JPEG photos that the inner photographer aching to get out has taken with either the 2 megapixel camera faces the rear or the modest 0.3 megapixel camera that faces the front. To open or play your files you can transfer them to the “Vice” Android tablet via a mini SD card as it supports both external hardware. The memory for this large screen tablet is a whooping 16GB that can be boosted by a 32GB SD card to give you more memory for files and apps. 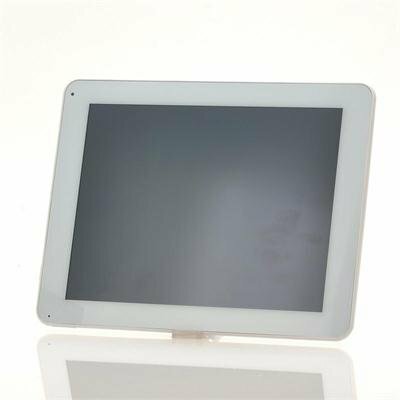 Take advantage of the great wholesale price of the 9.7 Inch screen Android 4.0 “Vice” Tablet by visiting the website today and purchasing or buy in bulk to resell from your online store. Brought to you by the leaders in large Android tablets and electronic devices, Chinavasion. All very well discribed. All details specs shown and all prices well displayed helpful for buyers.